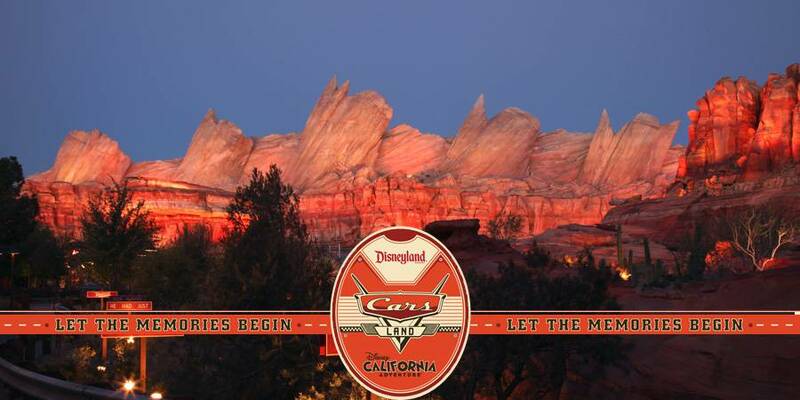 ANAHEIM, CALIF. 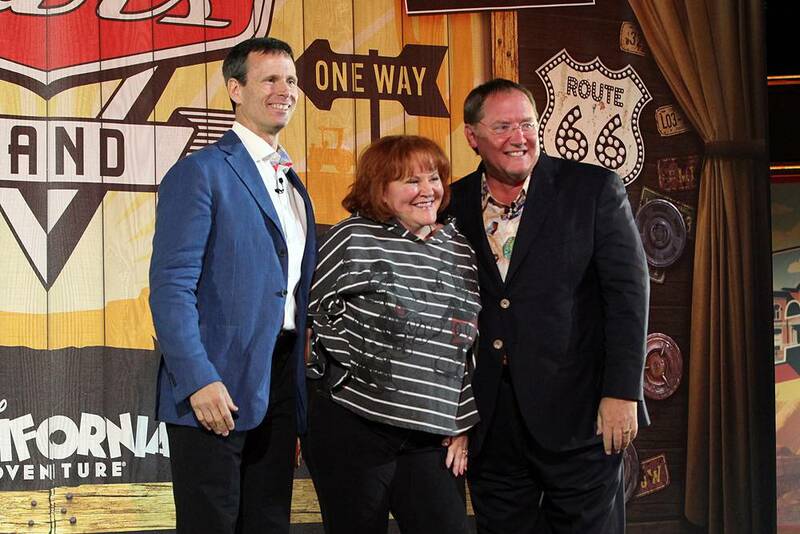 The Disneyland Resort got a little happier this summer and cars and human alike were in good spirits the evening of June 12, 2012 when Disney officially opened Cars Land at Disney California Adventure. 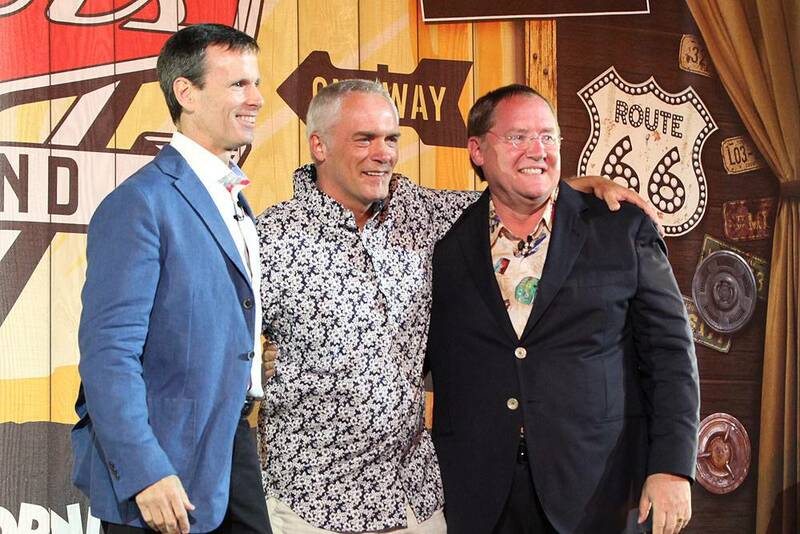 Although regular guests won’t be able to see Cars Land until this Friday, the land held its opening celebration for celebrities, the top brass at the company, invited guests, and the media. 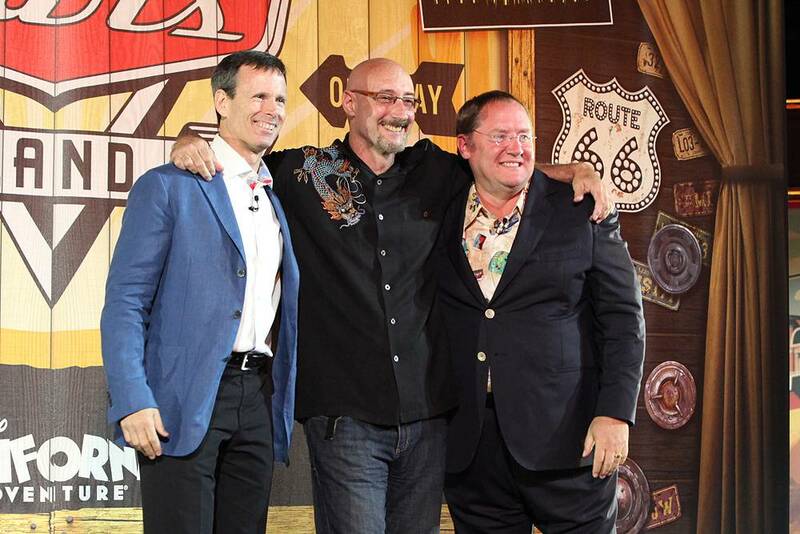 Please enjoy a selection of photography from the Red Carpet as well as the Grand Opening with CEO Bob Iger, Chairman of Disney Parks & Resorts Tom Staggs, and John Lasseter, head of Walt Disney Animation Studios and Pixar Animation Studios as well as the director of Cars and Cars 2. 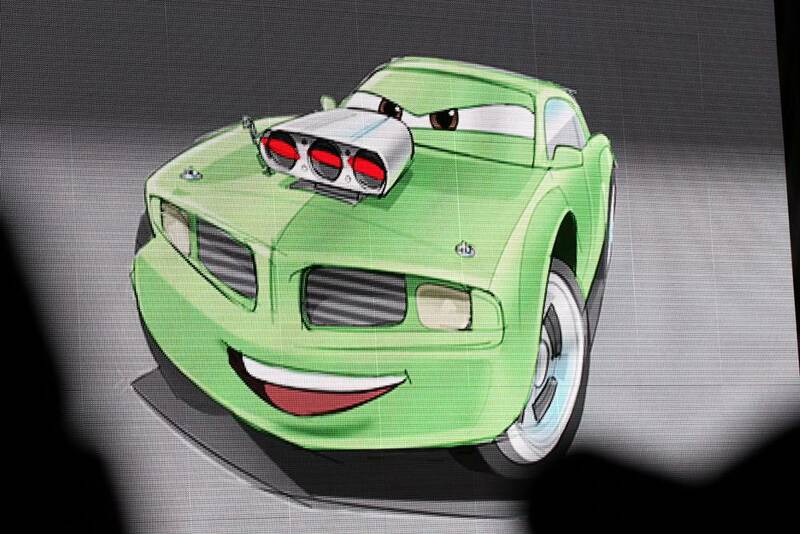 They brought in a parade of talent from both Cars films to join in on the fun and indeed it was fun! 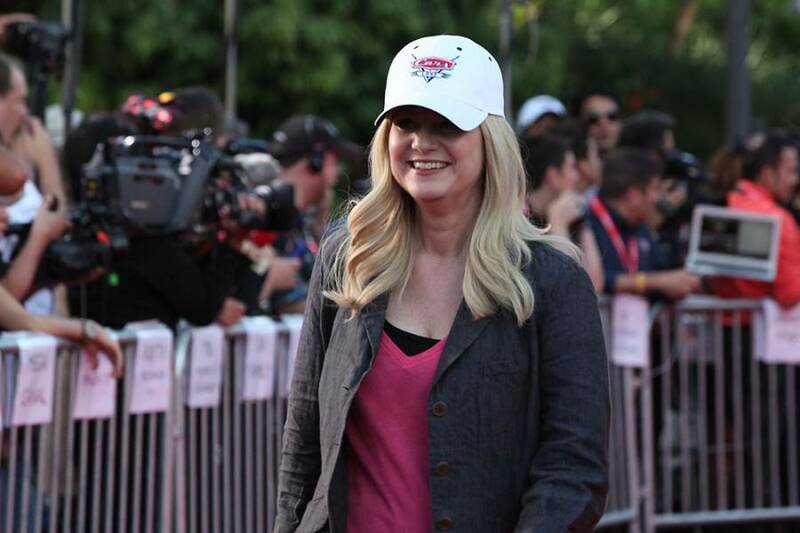 Bonnie Hunt, the voice of Sally in CARS, walks the red carpet. 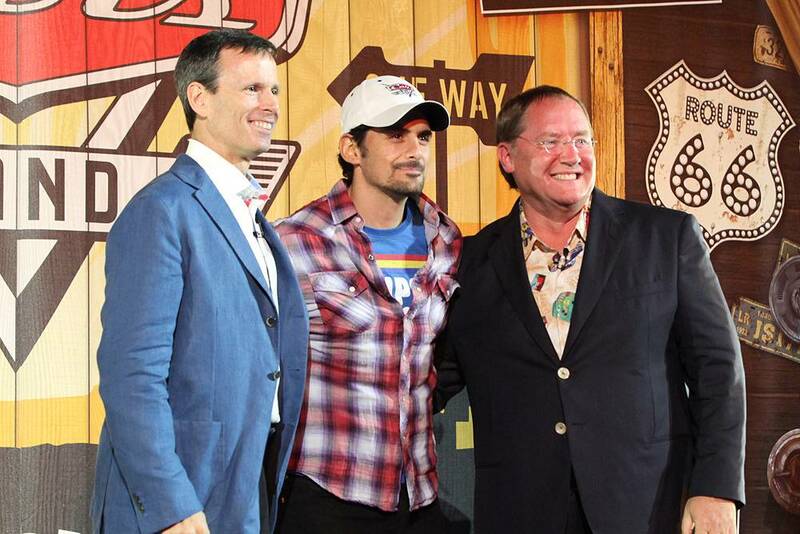 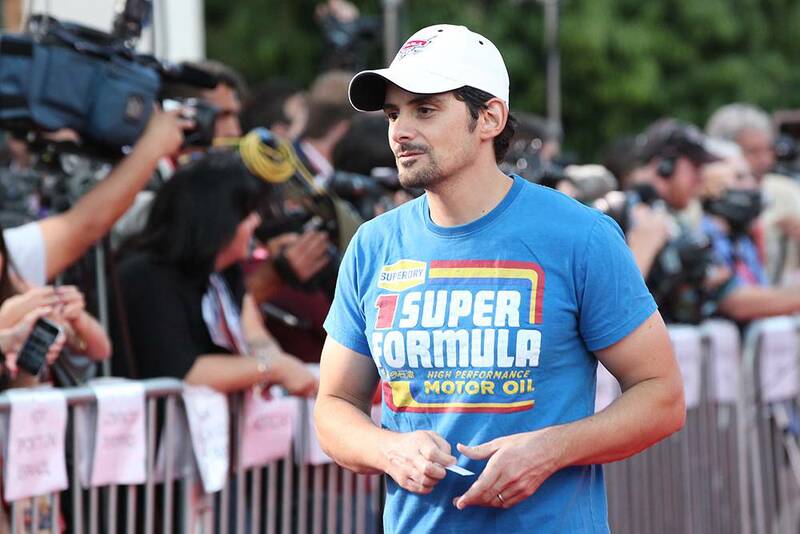 Singer and song writer Brad Paisley contributed to the soundtrack of CARS. 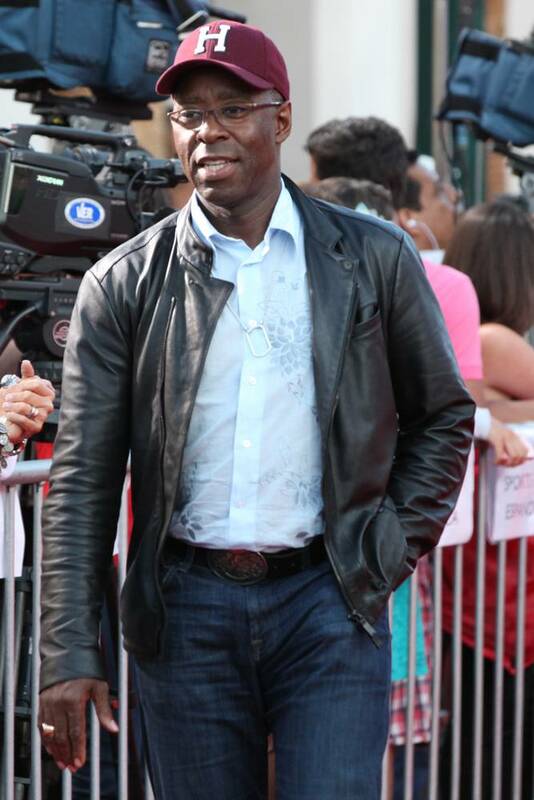 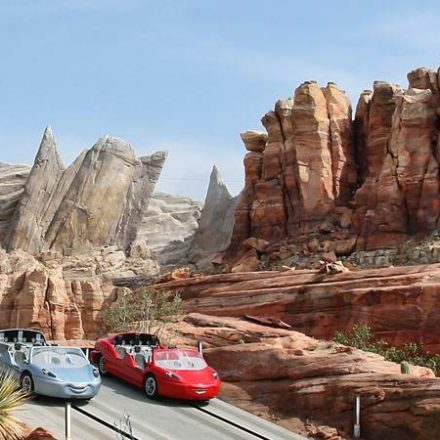 His “Behind the Clouds” can also be heard in Radiator Springs Racers. 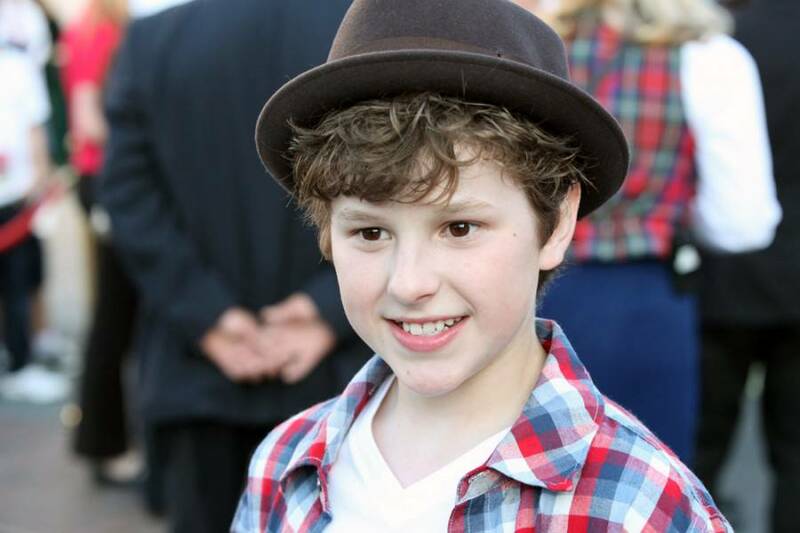 Nolan Gould of “Modern Family”. 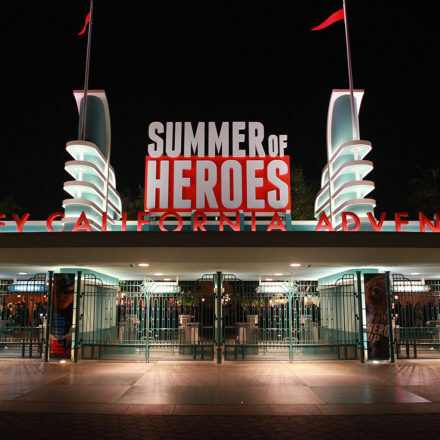 Bella Thorne from “Shake it Up” along with her mouse ears from Downtown Disney. 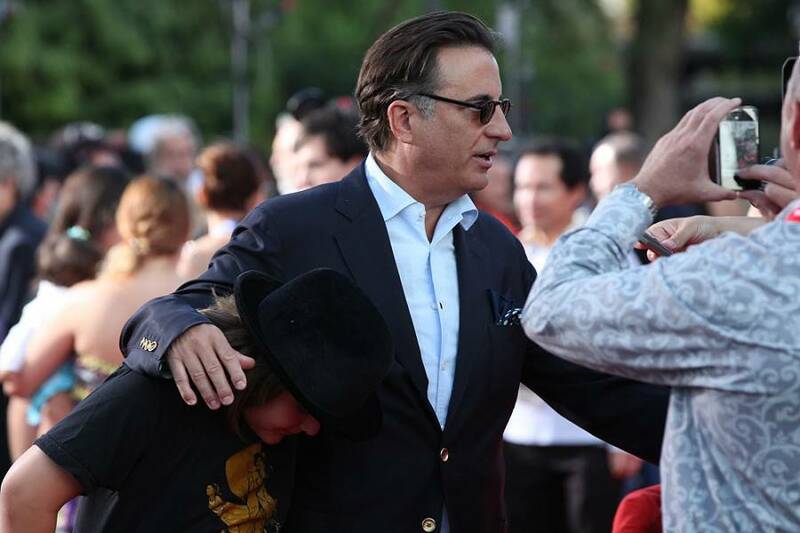 Andy Garcia and son talk with reporters on the red carpet. 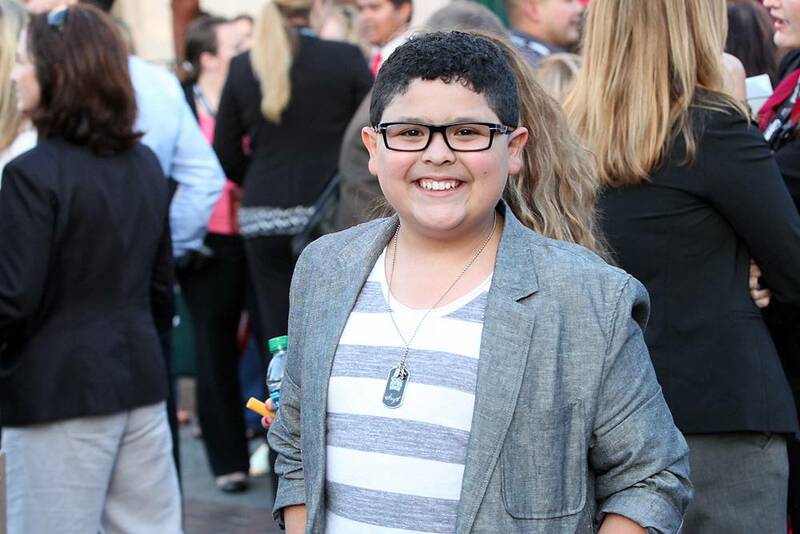 Ariel Winter from “Modern Family”. 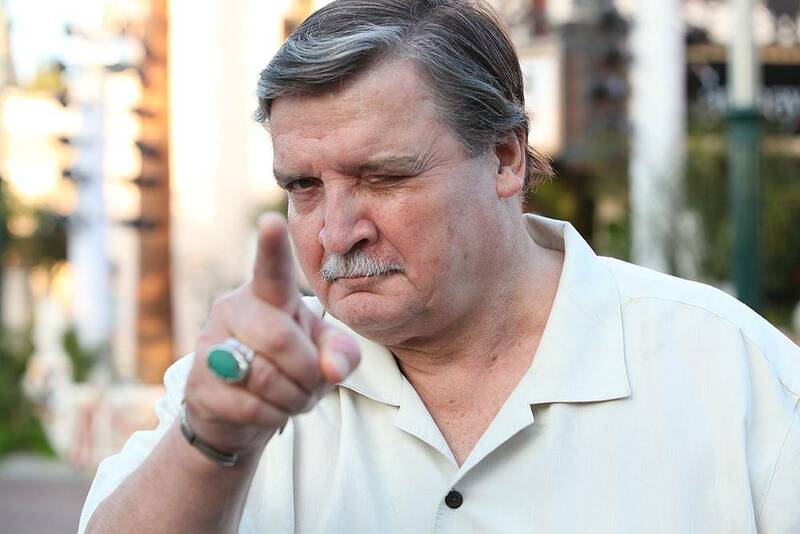 The voice of Sheriff, Michael Wallace telling us that we’re in a heap of trouble! 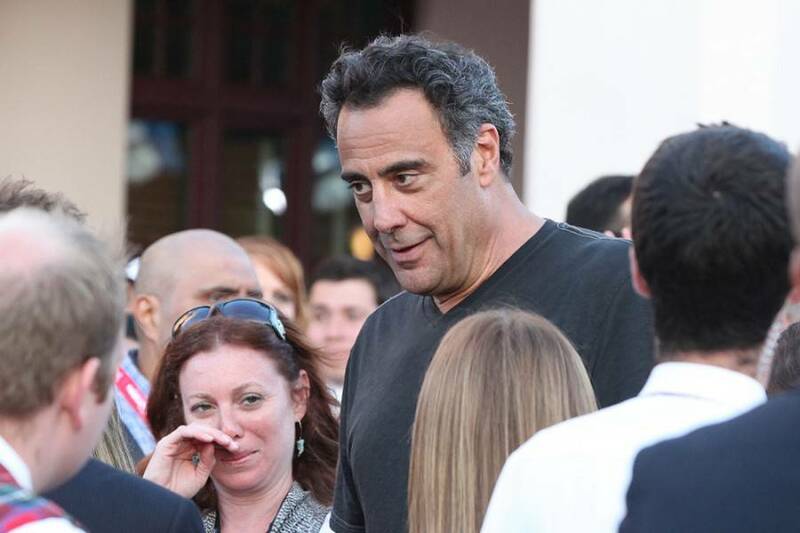 Brad Garrett had a role in Pixar’s “Finding Nemo”. 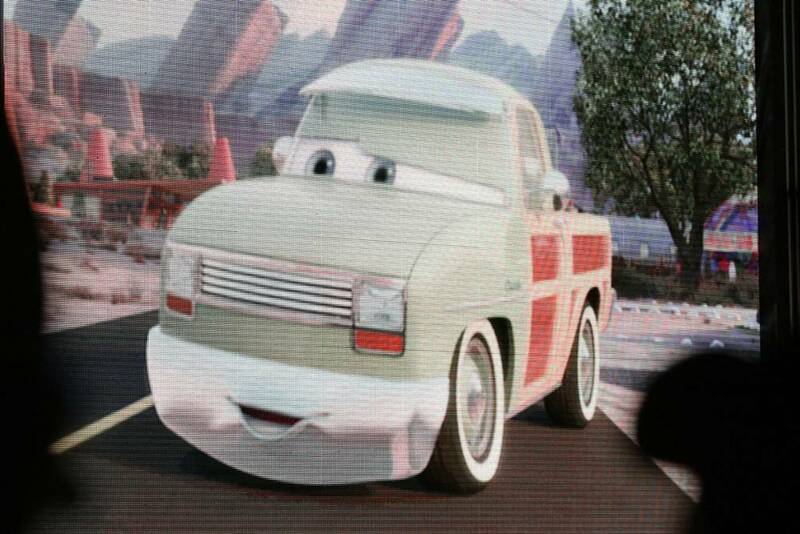 Sarah Chalke of “Scrubs” fame and the more recent “Prep and Landing”. 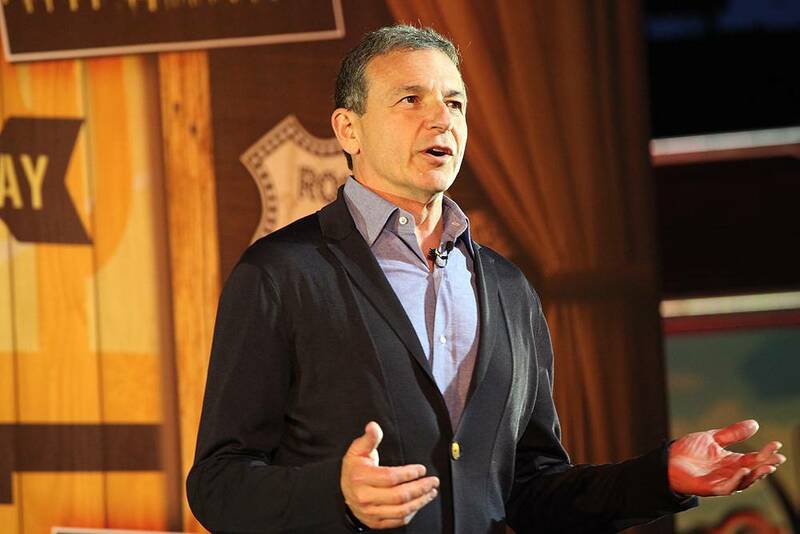 Chairman & CEO of the Walt Disney Company, Bob Iger details the past five years that led to Cars Land. 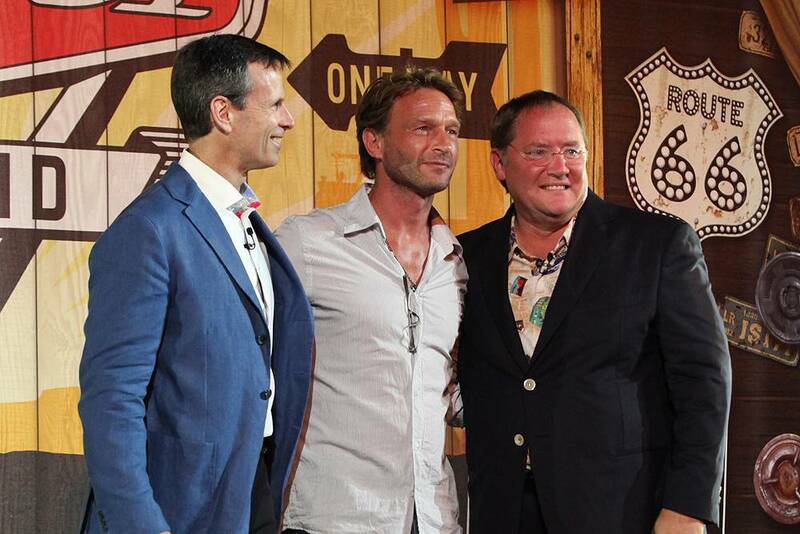 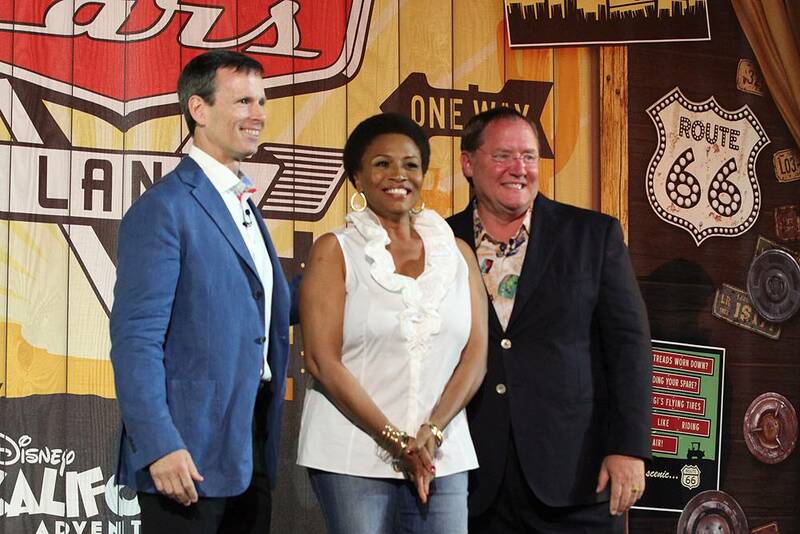 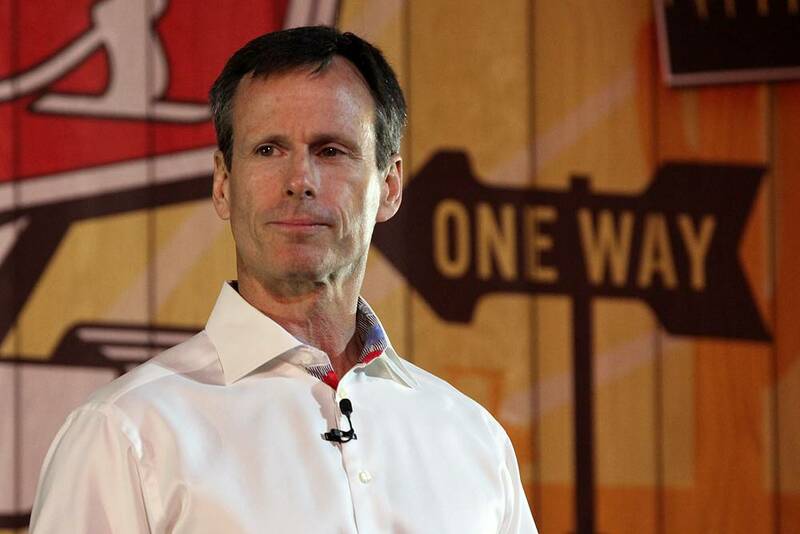 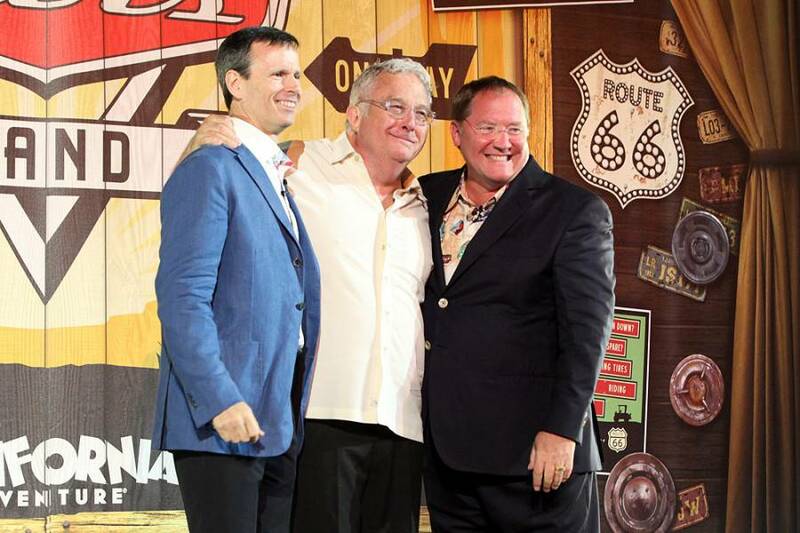 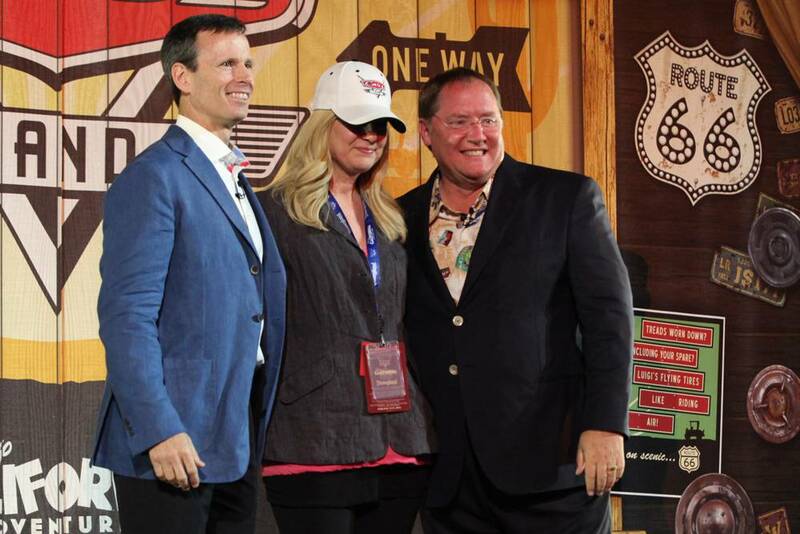 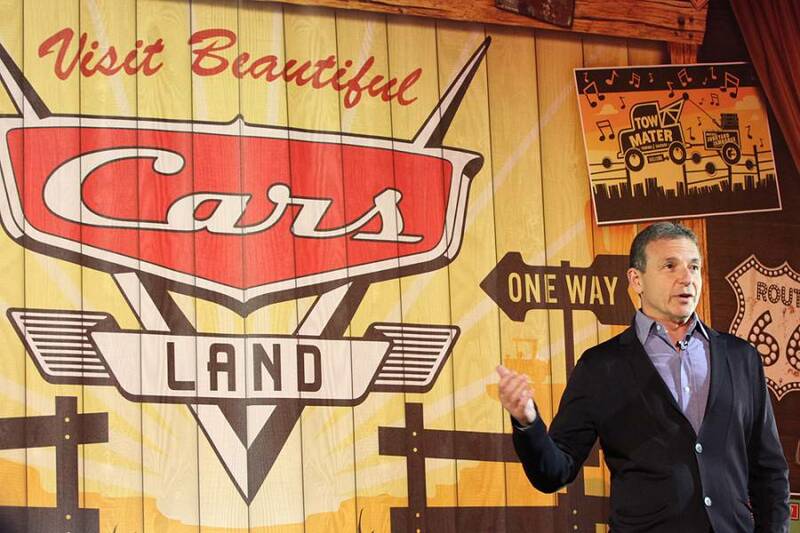 Tom Staggs, Chairman, Walt Disney Parks & Resorts, muses about the arrival of Cars Land. 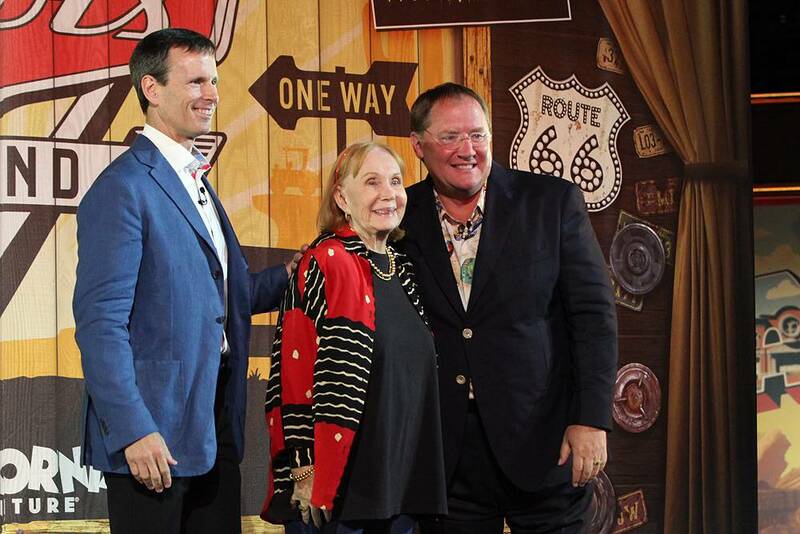 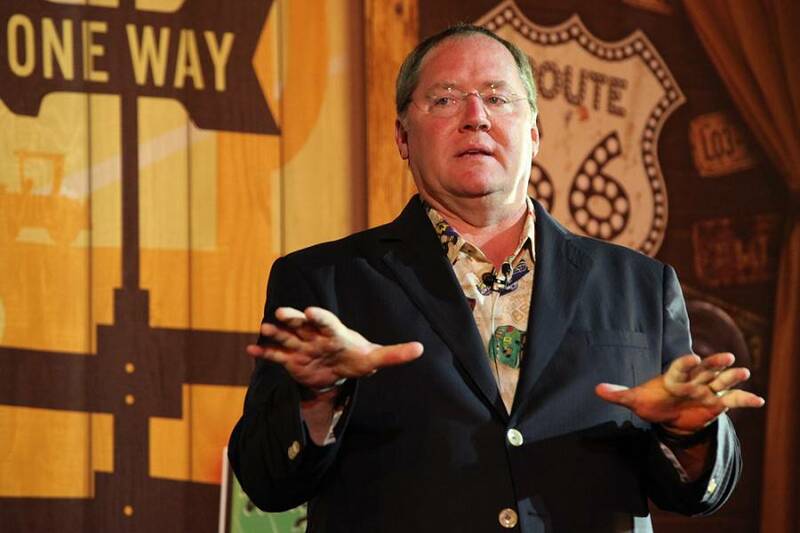 John Lasseter, director of “Cars” and “Cars 2” provides a back story of why these movies mean so much to him, having an art teacher mother and a mechanic father. 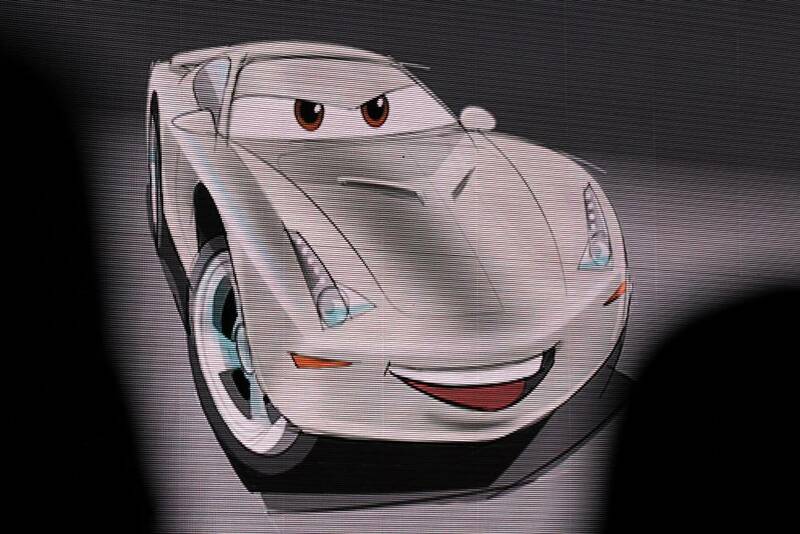 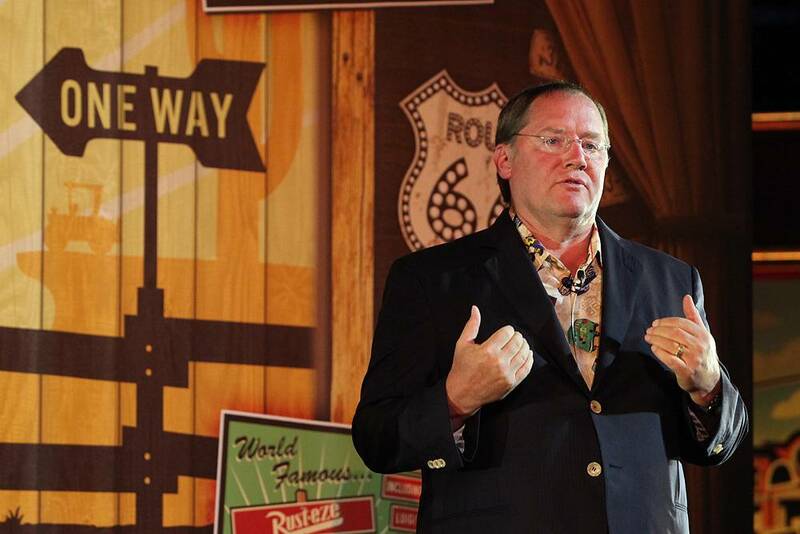 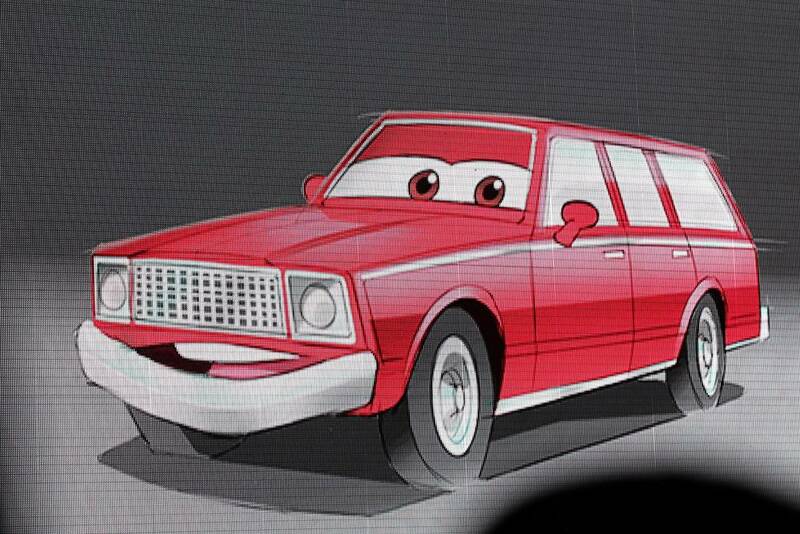 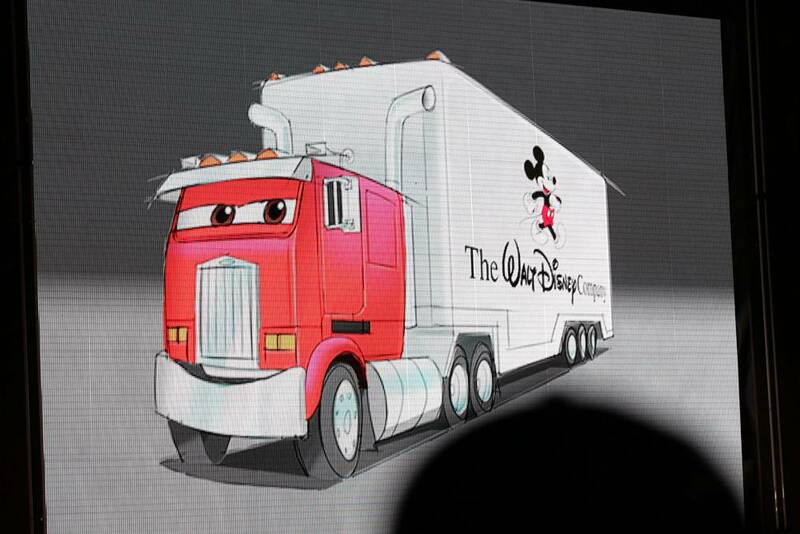 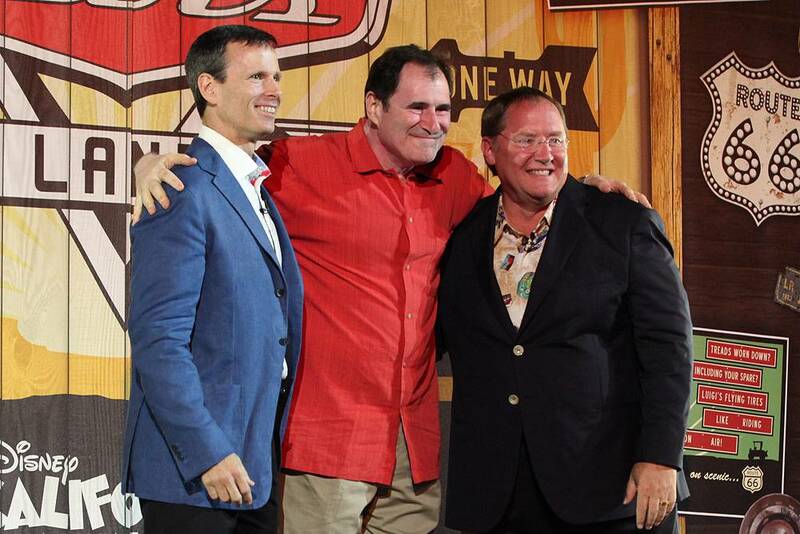 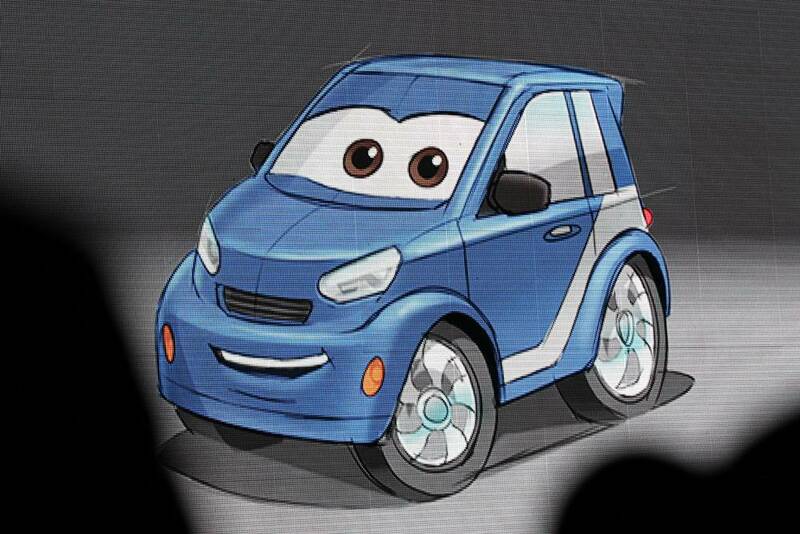 John Lasseter has some fun and shows off a number of ways that Bob Iger and Tom Staggs could be turned into CARS characters. 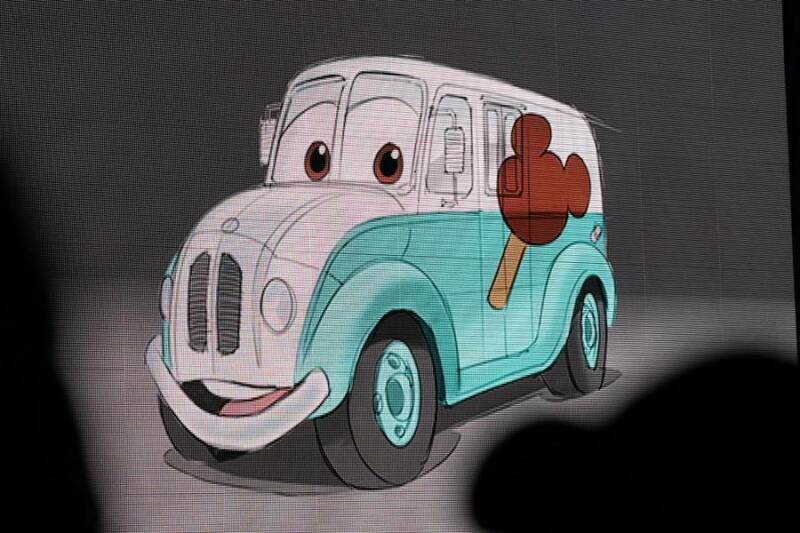 Here, because of his good humor, Tom Staggs has become an ice cream truck. 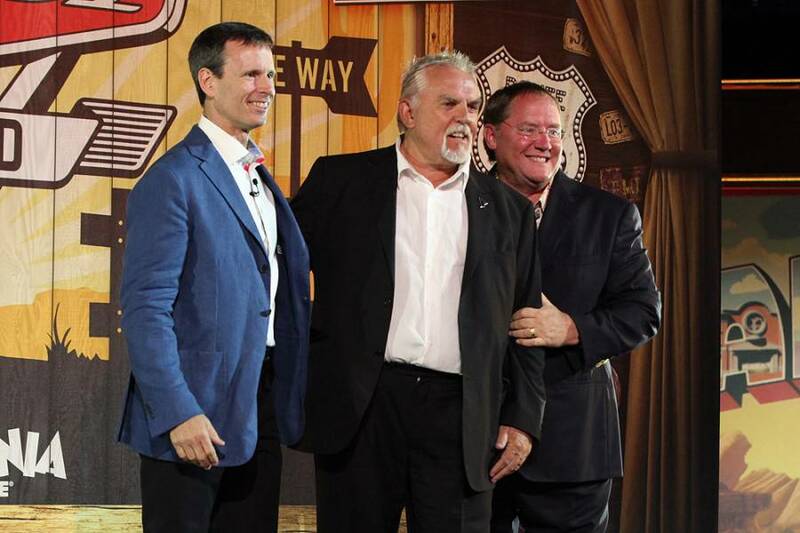 Pixar’s good luck charm John Ratzenberger takes the stage. 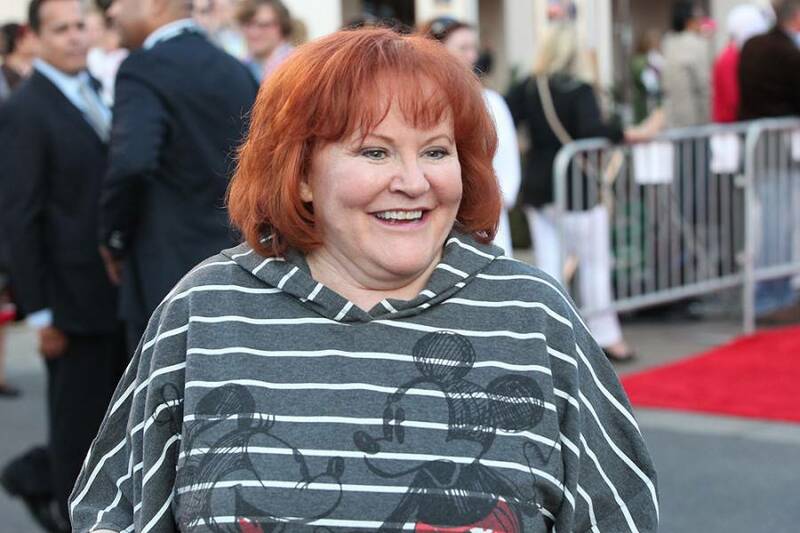 The voice of Flo is Jennifer Lewis. 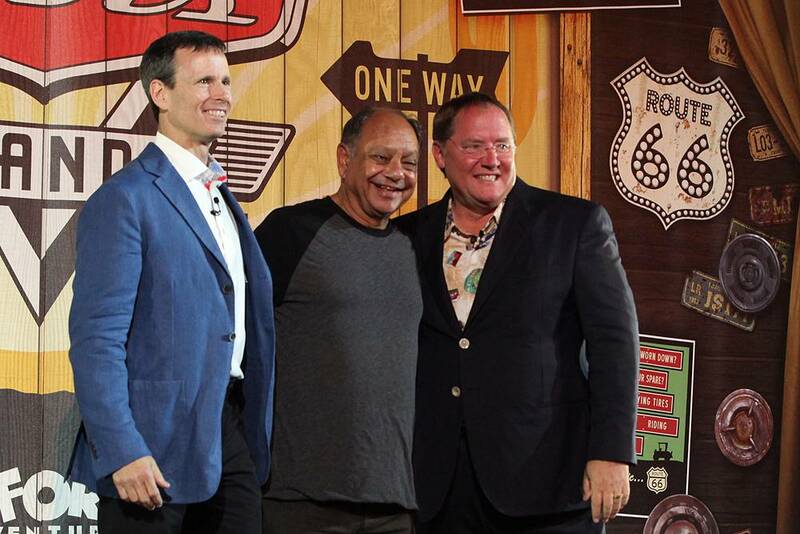 Cheech Marin, who provides the voice of low-ridin’ Ramone, joins Tom and John. 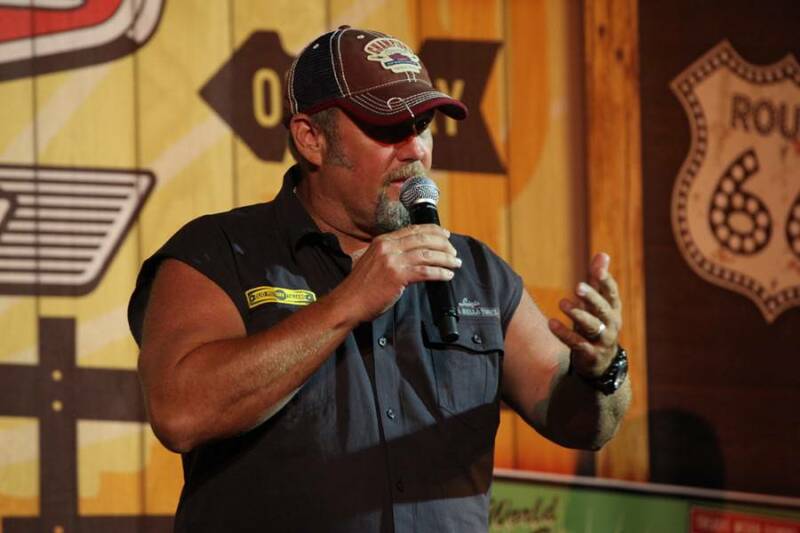 Larry the Cable Guy voices Mater and sings several of the songs for Mater’s Junkyard Jamboree says that we can’t open Cars Land without Mater and Lightning McQueen. 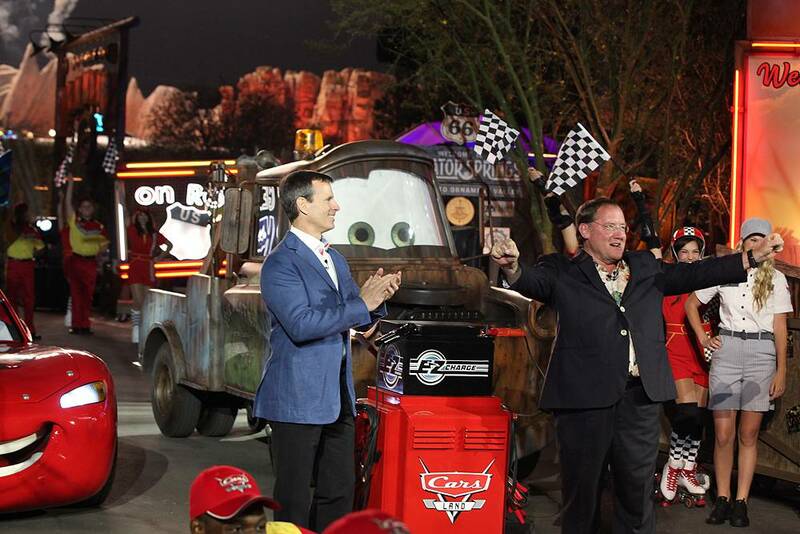 Dancers, Lightning McQueen, Mater, DJ, and a little bit of pyro help open Cars Land to media and invited guests. 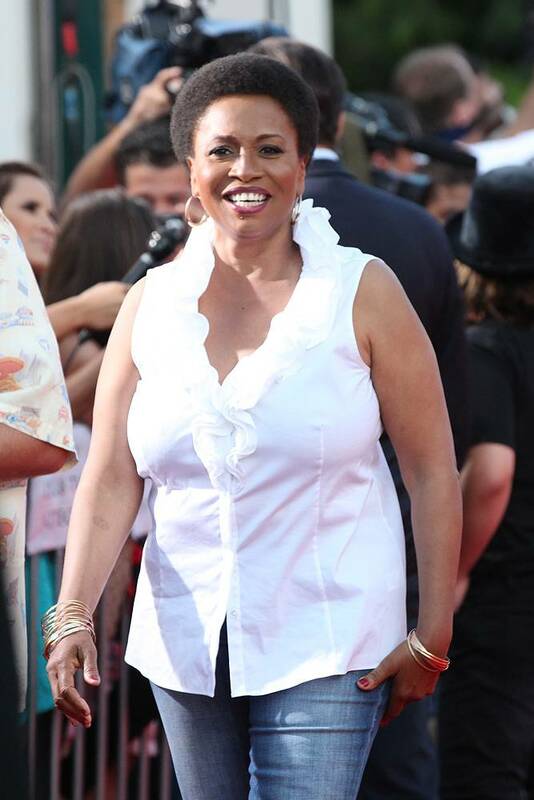 Please check out some additional photography below!